Beverly Hills is known for its extravagance and luxury living. From the shopping on Rodeo Drive to the fine dining to the opulent hotels, you’ll find everything your luxury traveling heart desires. When it’s time to relax from all the fun, the top Beverly Hills spas are waiting. You won’t find a budget 30-minute massage at these spas. Here, it’s all about the state-of-the-art wellness technology, the latest in holistic treatments and sometimes unusual and celebrity-lauded techniques. You can easily spend an entire day (and thousands of dollars) at a Beverly Hills spas. To make sure you’re finding the best of the best, we’ve compiled the top luxury spas in the neighborhood. The Spa Montage Beverly Hills (at, of course, the five-star luxury resort Montage Beverly Hills) is the largest spa in Los Angeles and also the only spa on the West Coast to offer L.RAPHAEL facial and body treatments. Its L. Raphael Royal C Treatment is the second-most expensive facial in Beverly Hills and is an advanced technology facial utilizing a high concentration of oxygen and Vitamin C. Between treatments, reserve a cabana at the Montage Mineral Pool, to relax in privacy while enjoying your selection of light bites, from pressed juice to Champagne. 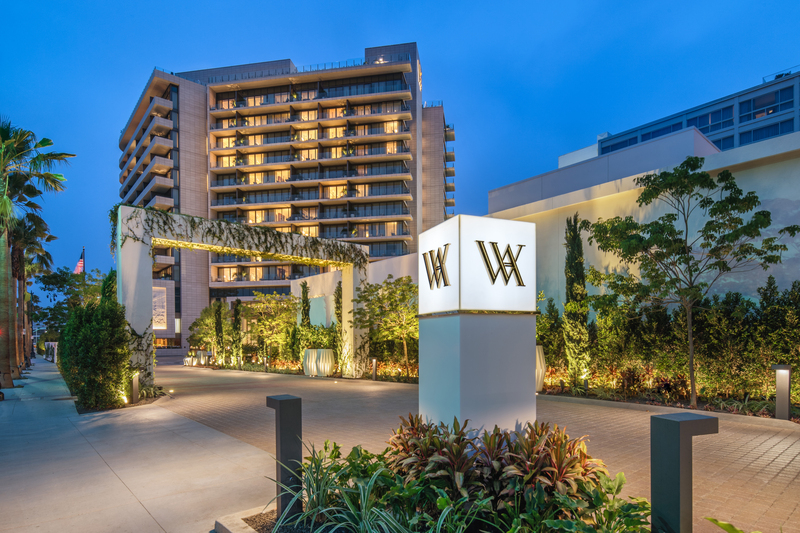 This 5,000-square-foot spa located inside the Waldorf Astoria Beverly Hills offers a host of innovative and luxurious spa treatments, as the highly-trained staff caters to guests’ every whim (and guests include a wide array of celebrities, so you know you’re in good hands). The spa just recently announced some special offerings for the 2018 holiday season, with special experiences available starting Nov. 12. These include the Gift of Platinum, which includes an hour-long facial and hour-long massage, plus valet parking and a white hot chocolate to end the experience on a sweet note; the Gift of Gold, which includes a radiance facial and massage and an old-fashioned coffee soda; and the Gift of Caviar, for a caviar firming facial and massage, followed by a Blue Curacao mocktail. 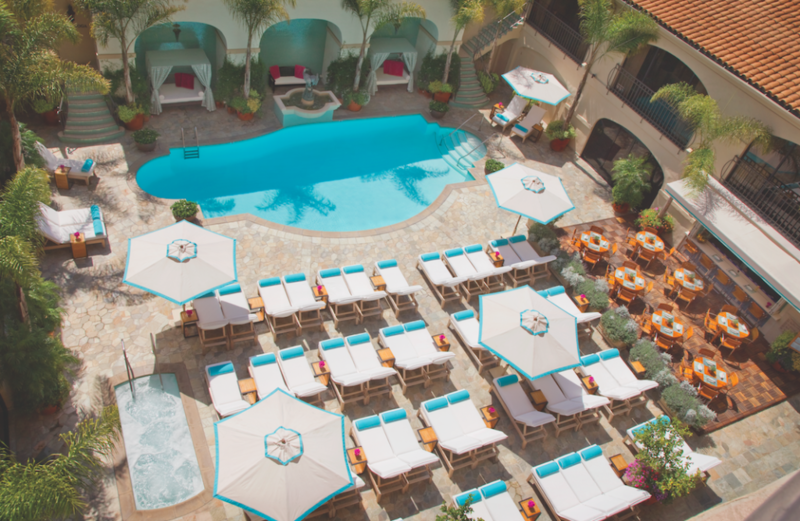 The Peninsula Spa is beloved by visitors and Beverly Hills locals alike. After enjoying one of the many innovative and/or classic treatments available, kick back in the spa’s Serenity Lounge, for the ultimate relaxation experience. Among the potential treatments to choose from are clinical facials made possible via a partnership with Biologique Recherche, combining the French luxury skincare brand’s clinical approach with the Peninsula Spa’s added ultra-luxe touch. The facials are tailored to your individual skin needs, to bring your skin to its optimum state. 9882 South Santa Monica Blvd. The Beverly Hills Hotel Spa reimagined its spa experience this year, by focusing less on aesthetic beauty treatments (though those are still very much a part of the available packages) and more on providing a respite from “a world spinning with wild energy and information” for a true “oasis for the mind, body and spirit.” Experiences focus on internal peace and solitude, from the full-body treatments to the private and group yoga classes led by on-site yoga specialists. The Spa at Beverly Wilshire offers an exclusive 90-minute treatment that you can’t find anywhere else. The Beverly Wilshire Signature Body Treatment Detox, Hydrate, Plump experience combines the best products you can buy and new technology to reveal healthier, happier skin. It includes a dry brush exfoliation process, cellulite gel and hyaluronic acid mask, a biocellulose facial, eye masks, a cryotherapy scalp massage and more. Another exclusive treatment at the spa is geared toward weary travelers; the Travel Recovery Treatment includes a seaweed wrap, seaweed mask and stress-relieving scalp treatment. 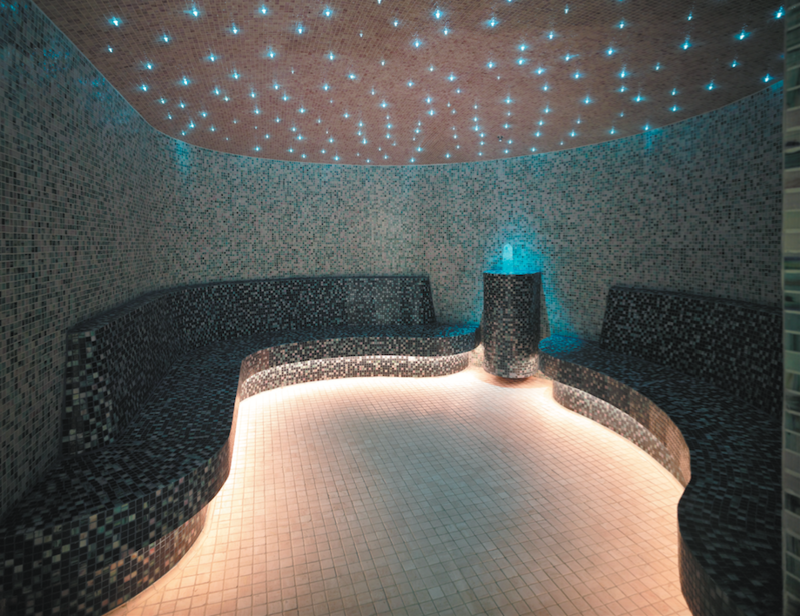 The spa also offers an aromatherapy crystal steam room, with fibre-optic lighting, heated benches, white-quartz crystal and more.